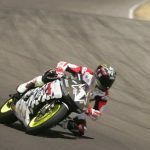 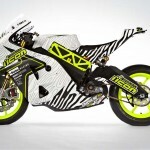 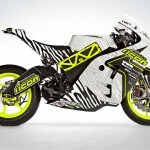 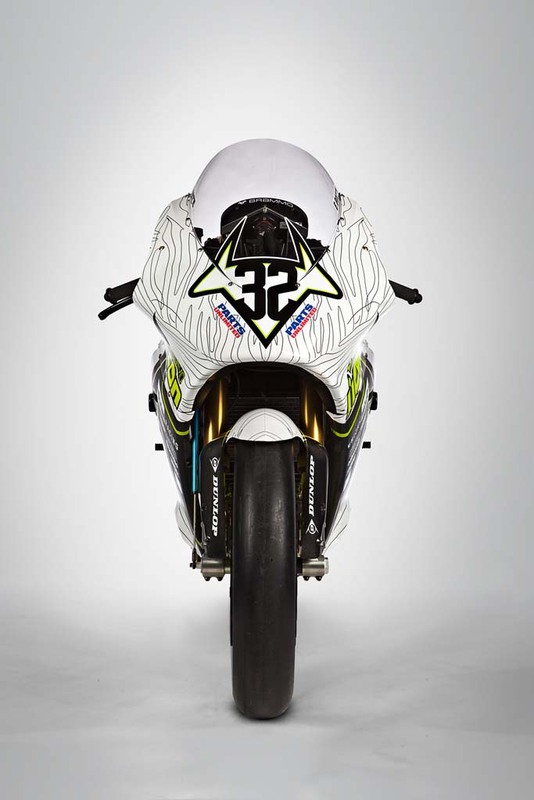 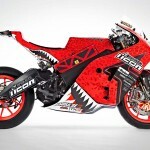 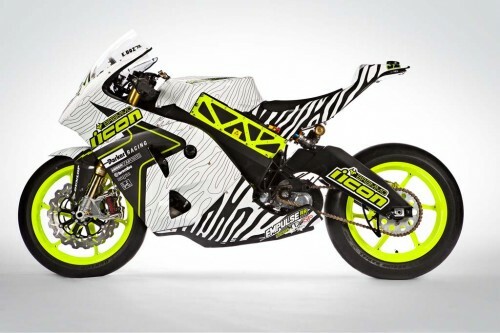 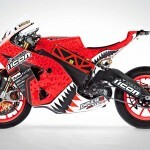 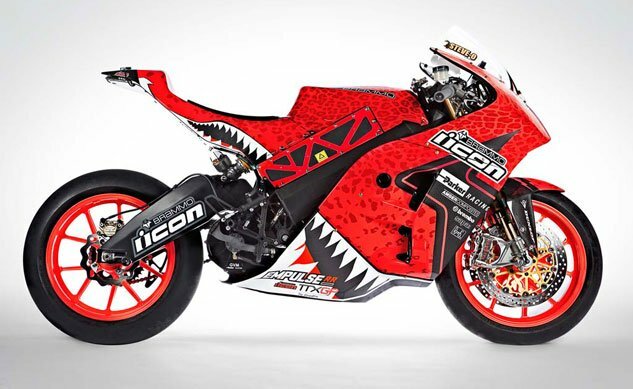 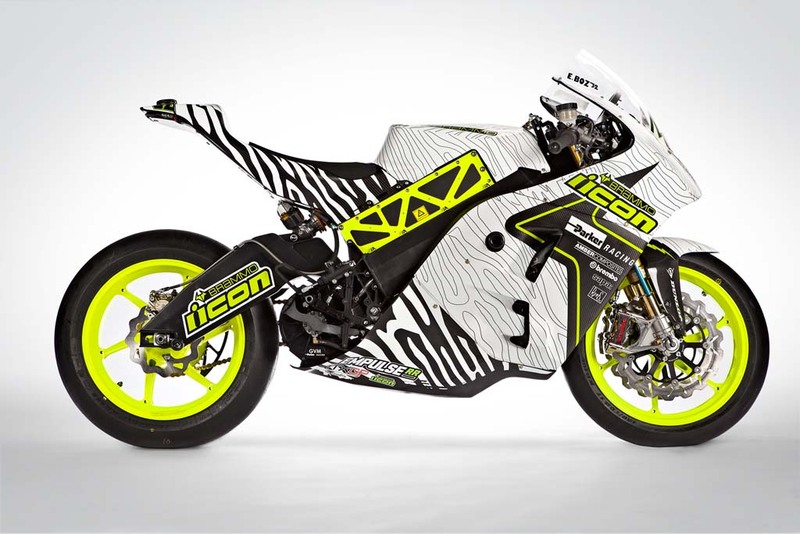 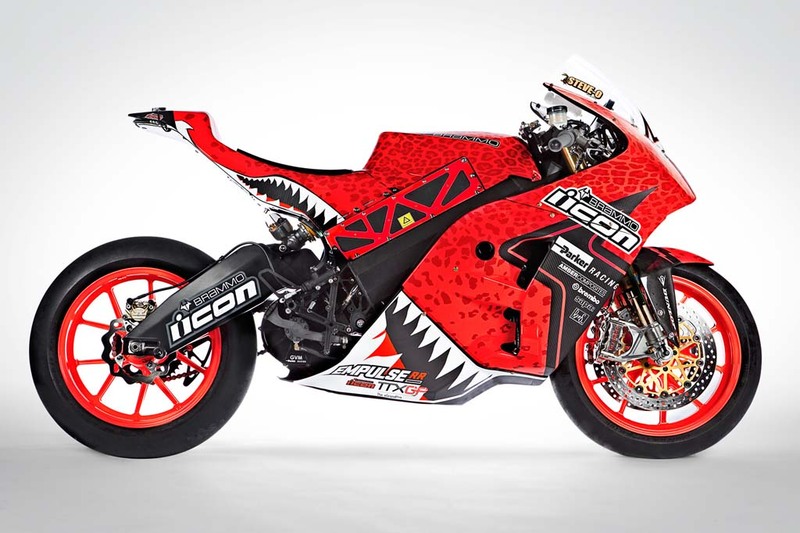 Icon and Brammo made a big splash last year with eye-catching livery for their TTXGP racebike, with Steve Atlas riding the black-and-white patterned “Stack” graphic Empulse RR to a TTXGP world championship. 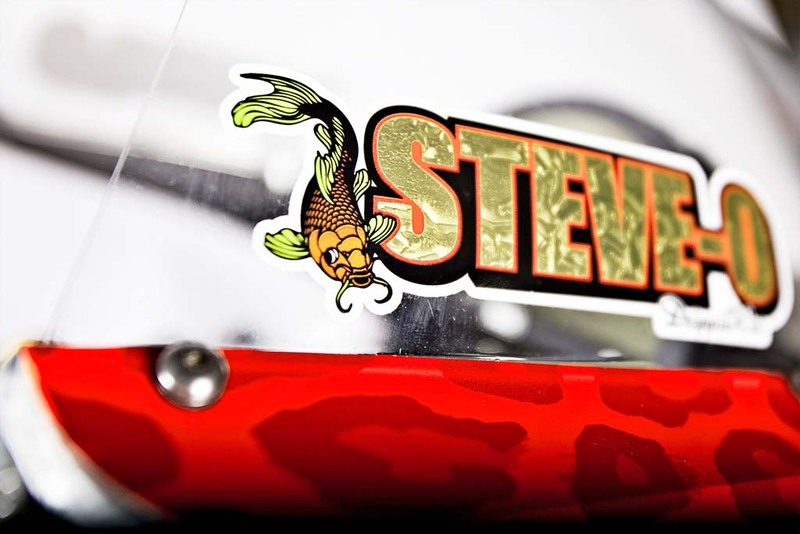 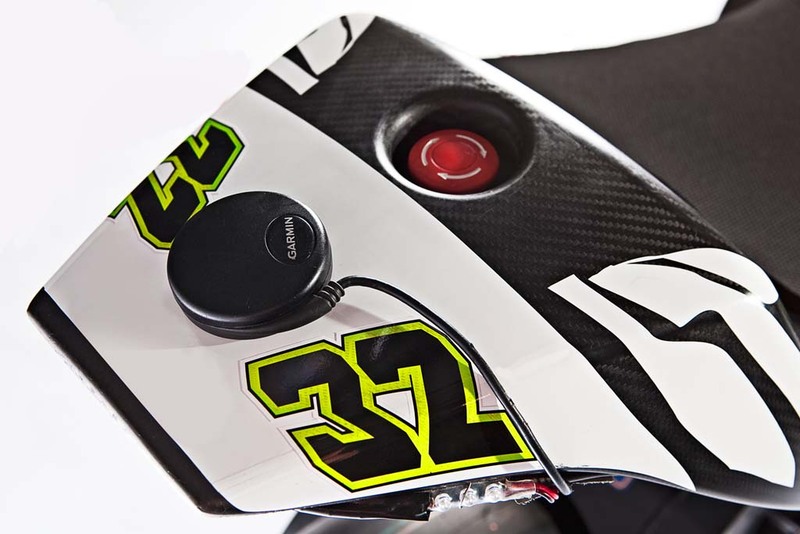 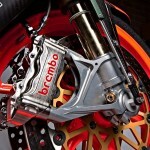 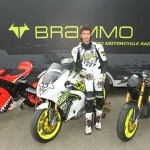 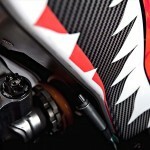 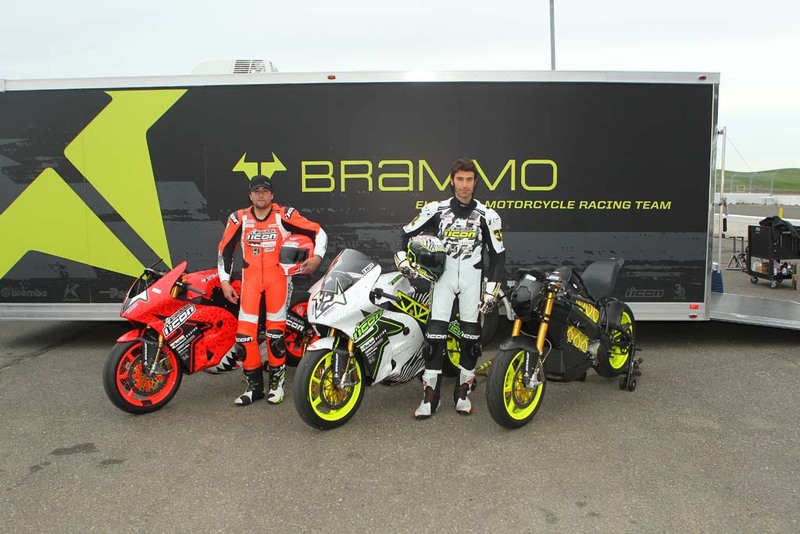 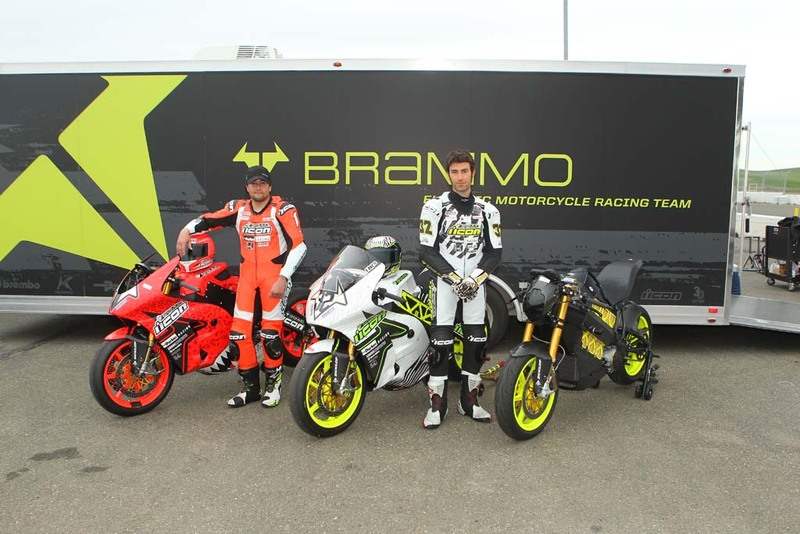 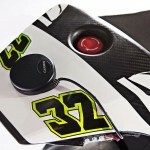 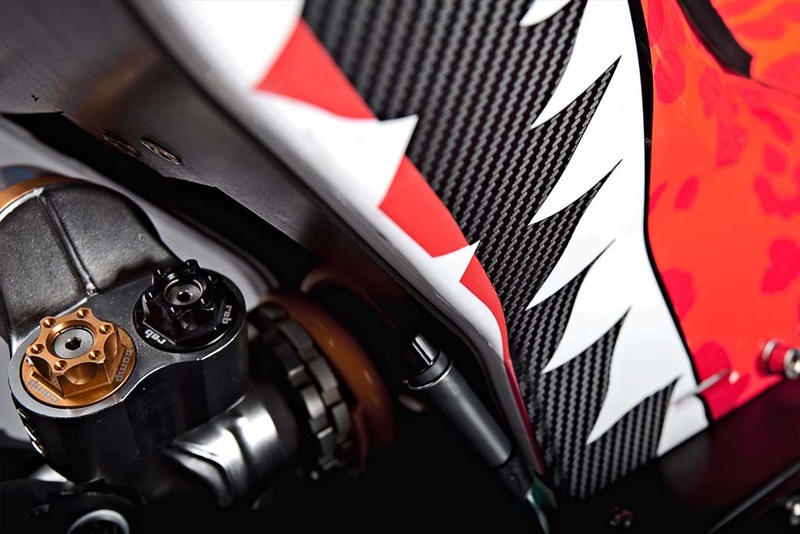 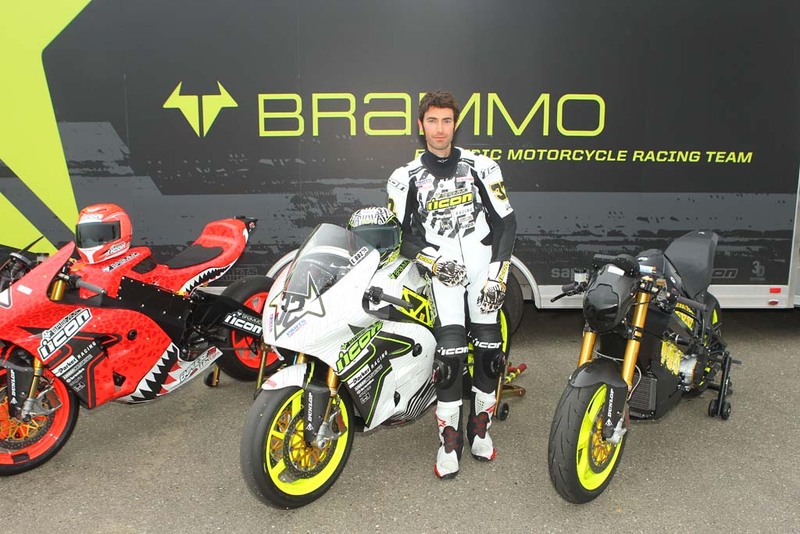 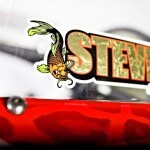 The riding apparel maker returns to sponsor Brammo’s team again for 2013, introducing two new designs for Atlas and teammate Eric Bostrom. 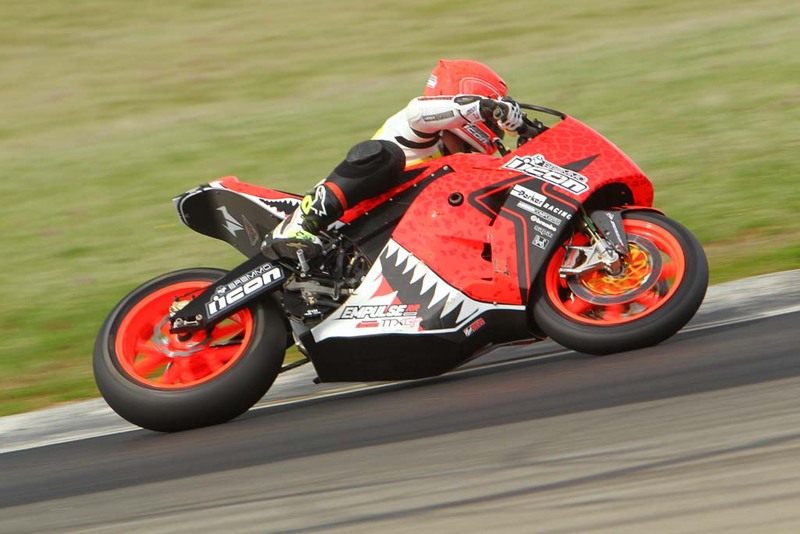 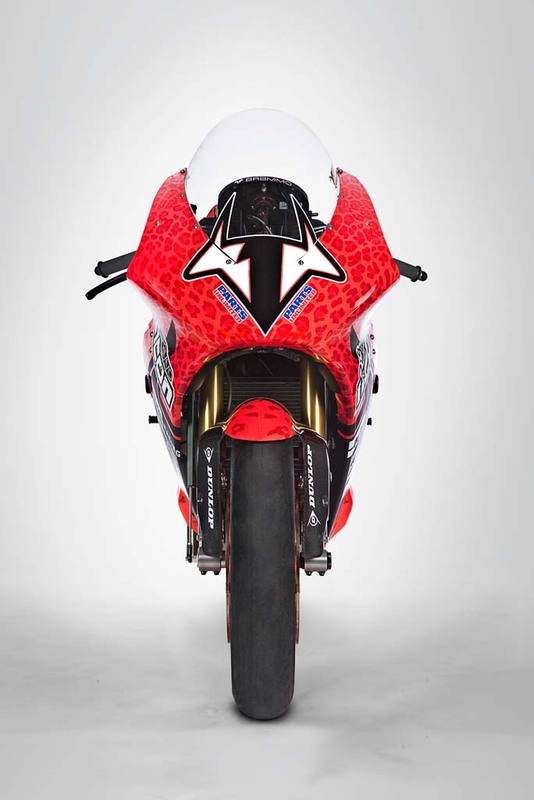 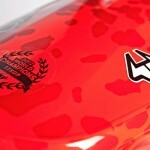 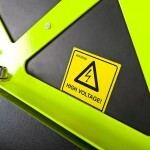 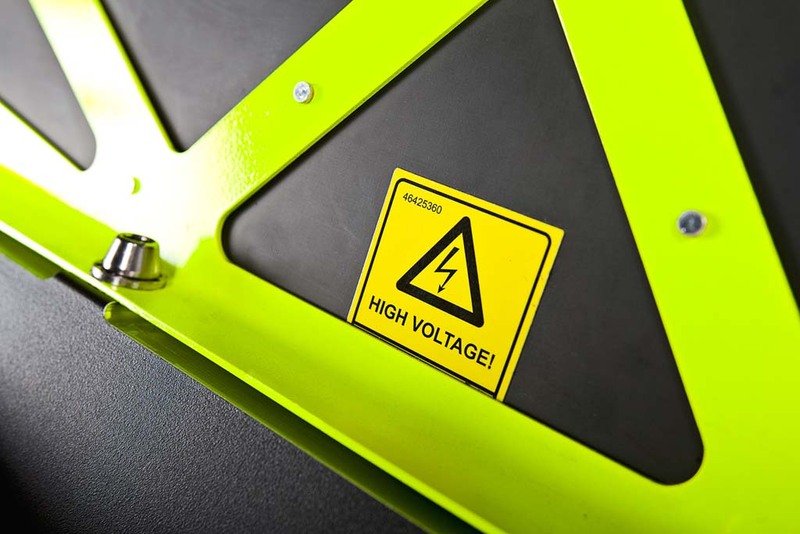 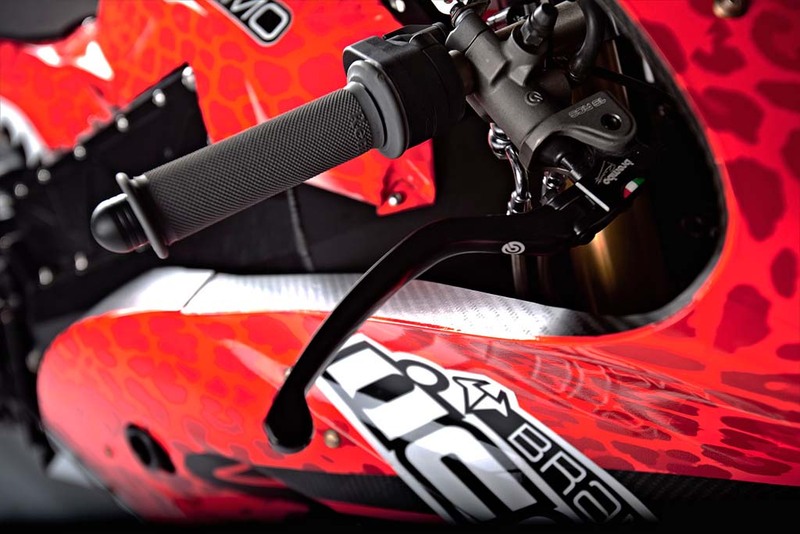 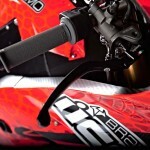 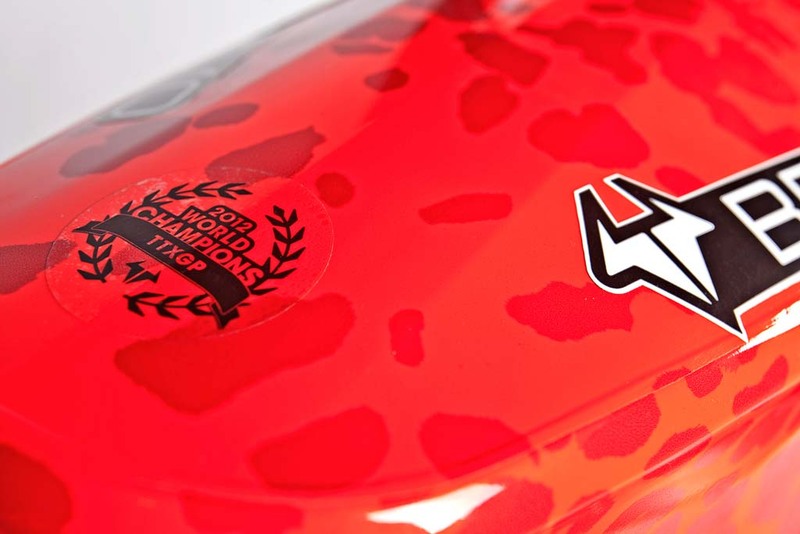 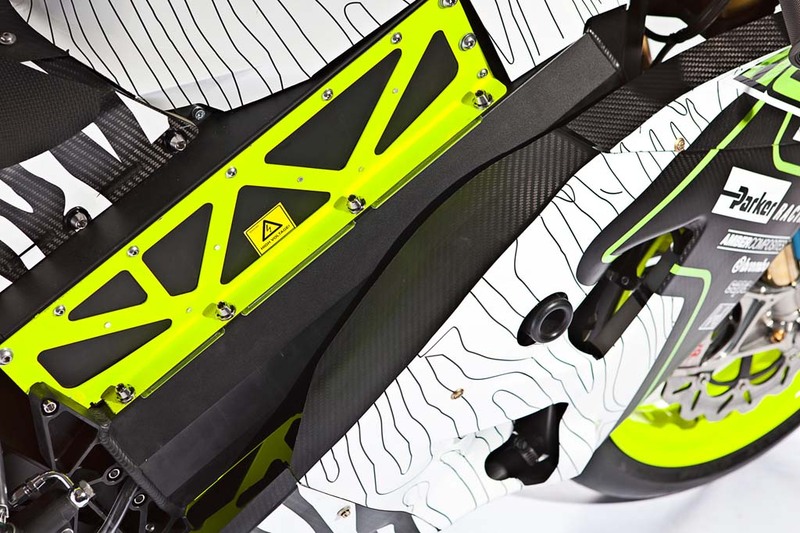 Atlas’ Team Icon Brammo Empulse RR will be clad in a red cheetah-themed “Sauvetage” livery (pictured above). 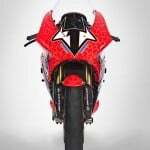 It features a red-on-red spotted pattern with a gaping mouth with fangs running from under the seat to the belly resembling the design of fighter planes of the World War II era “Flying Tiger” 1st American Volunteer Group. 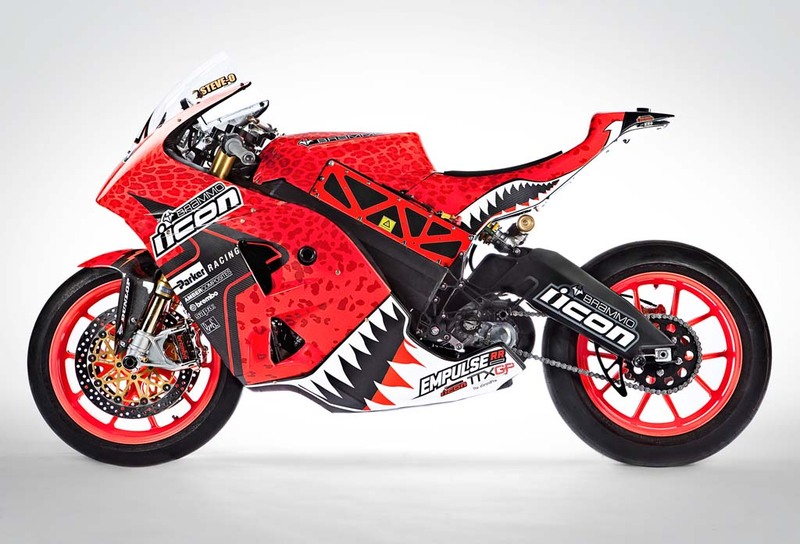 The livery is paired with red wheels and frame. 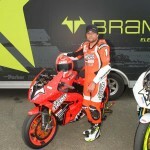 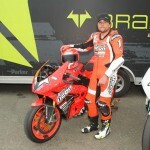 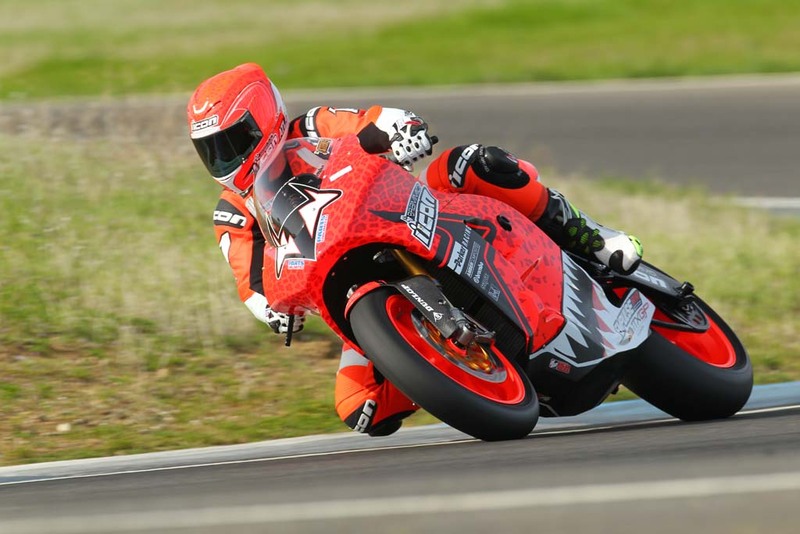 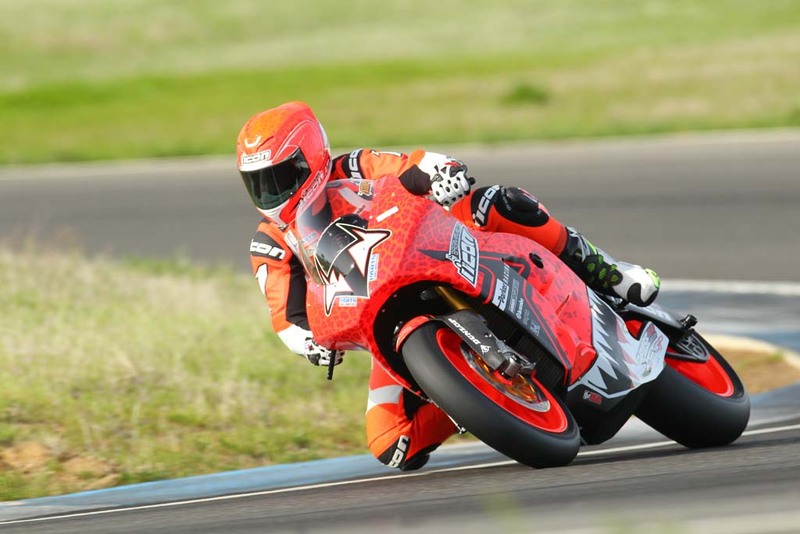 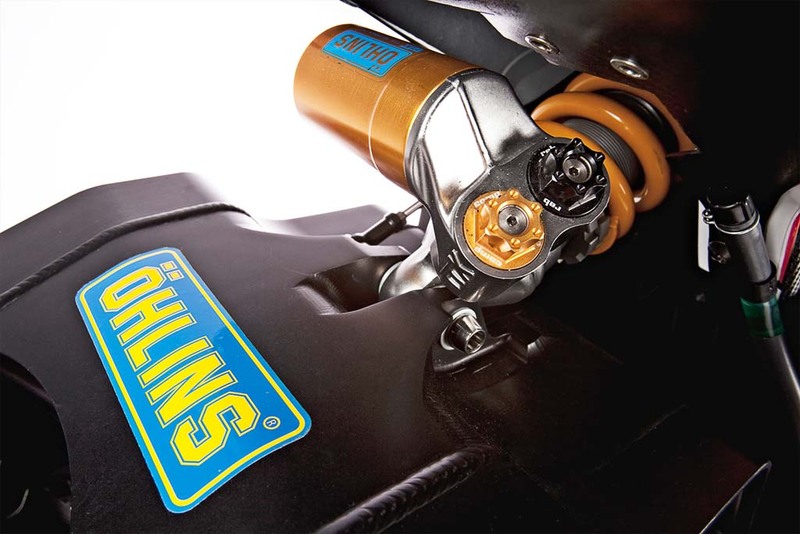 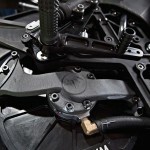 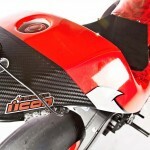 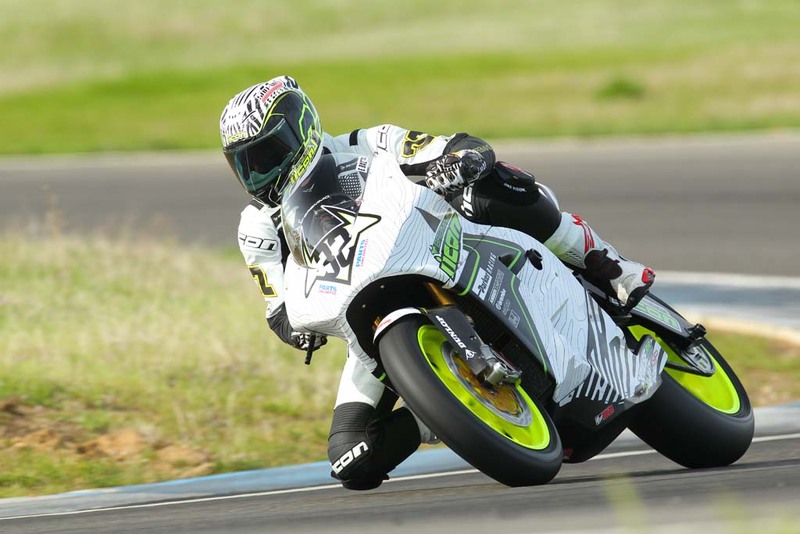 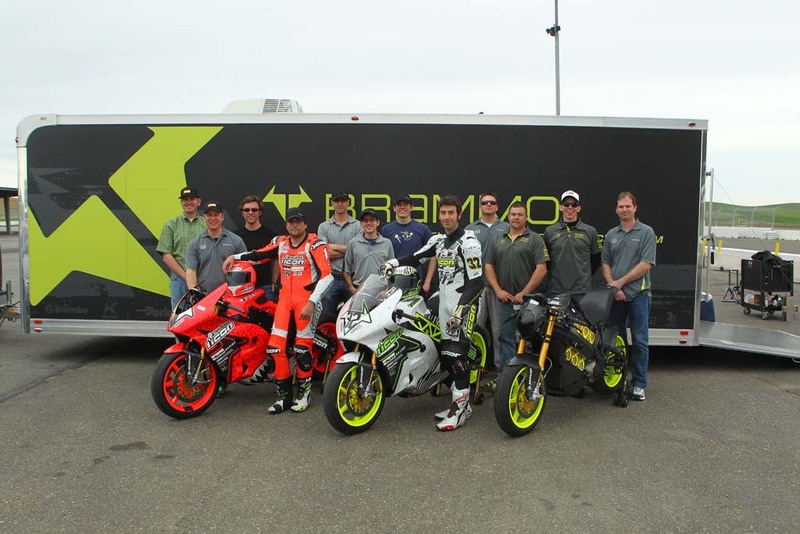 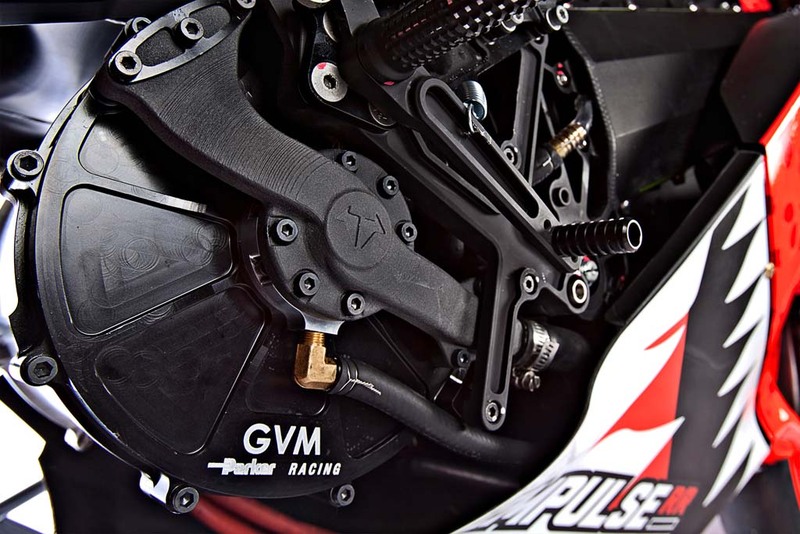 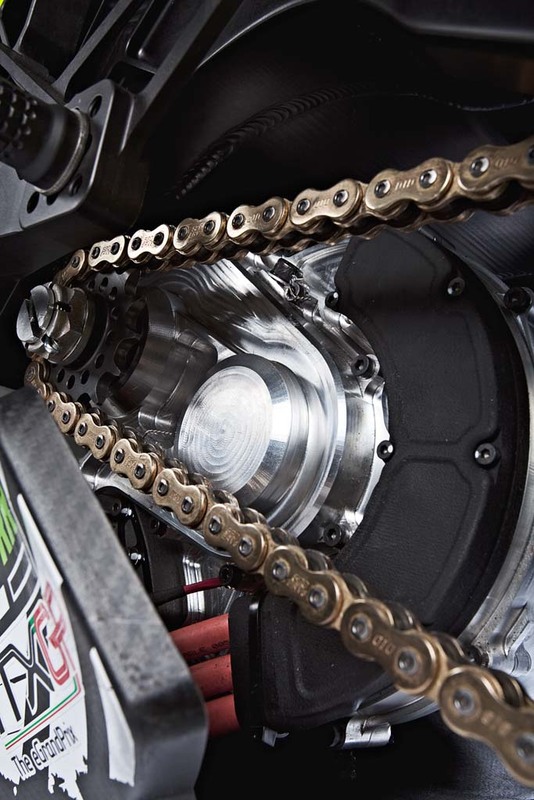 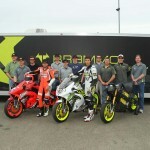 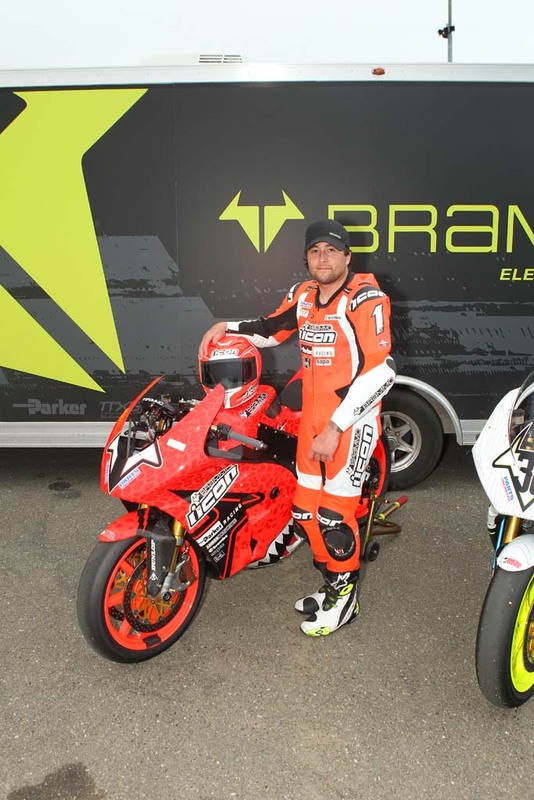 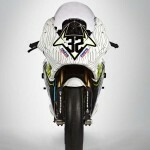 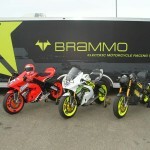 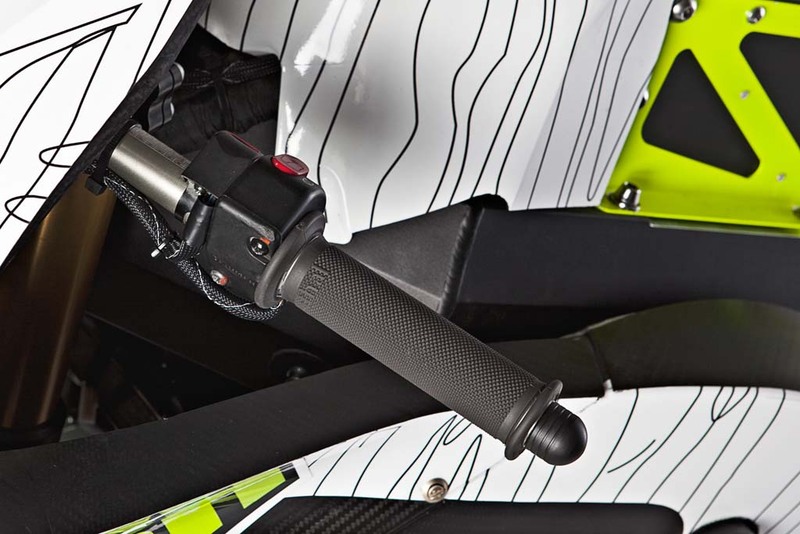 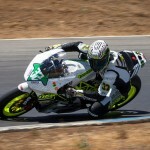 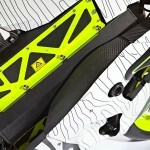 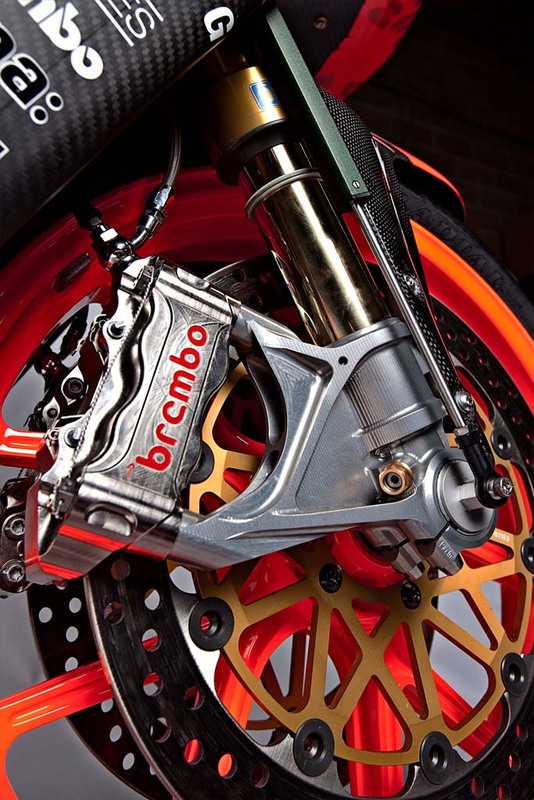 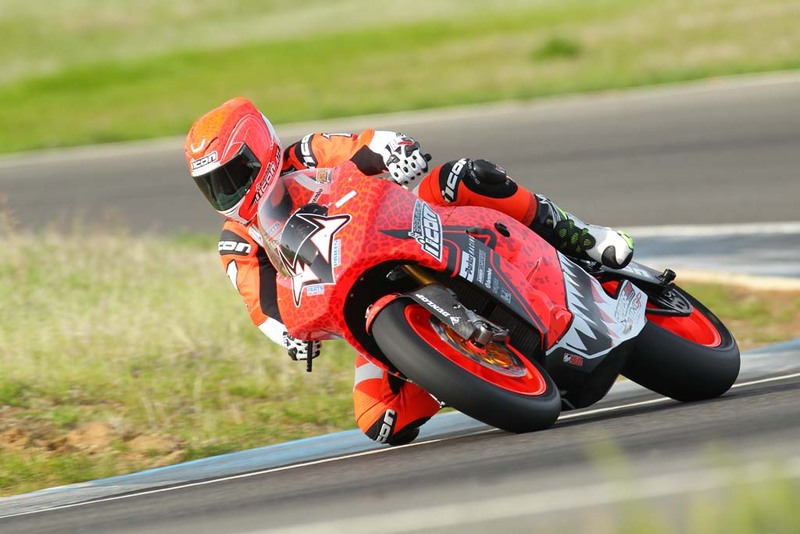 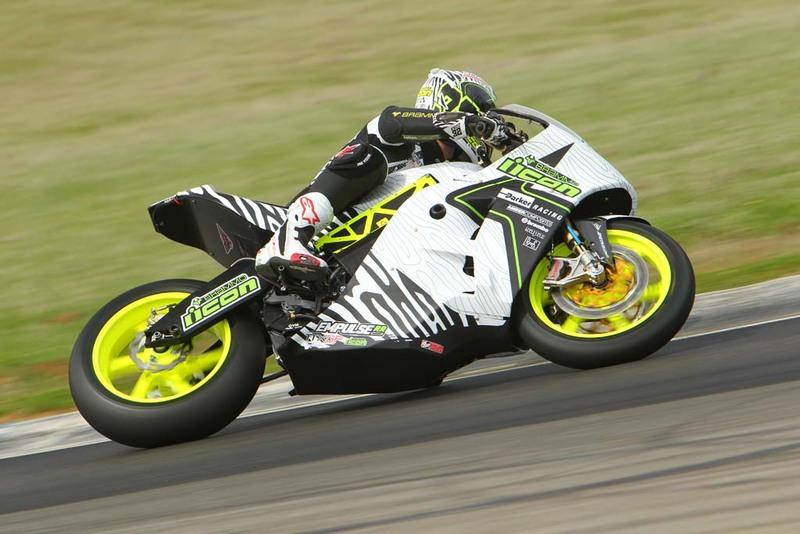 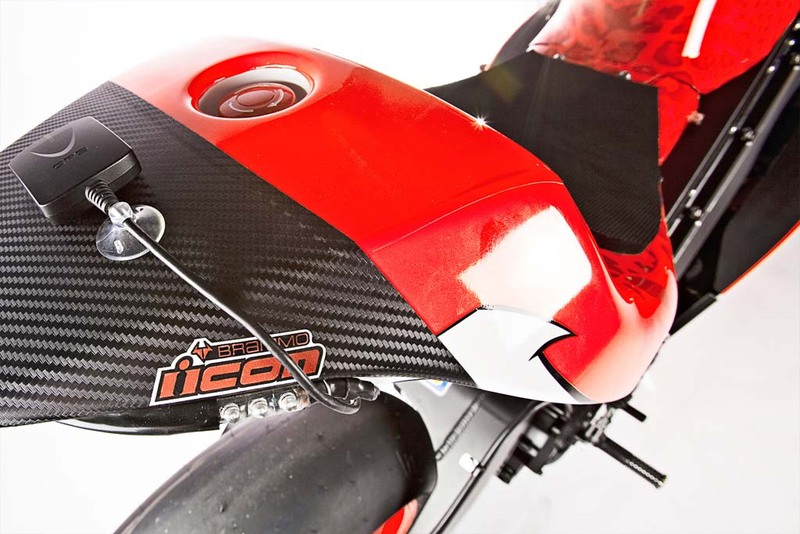 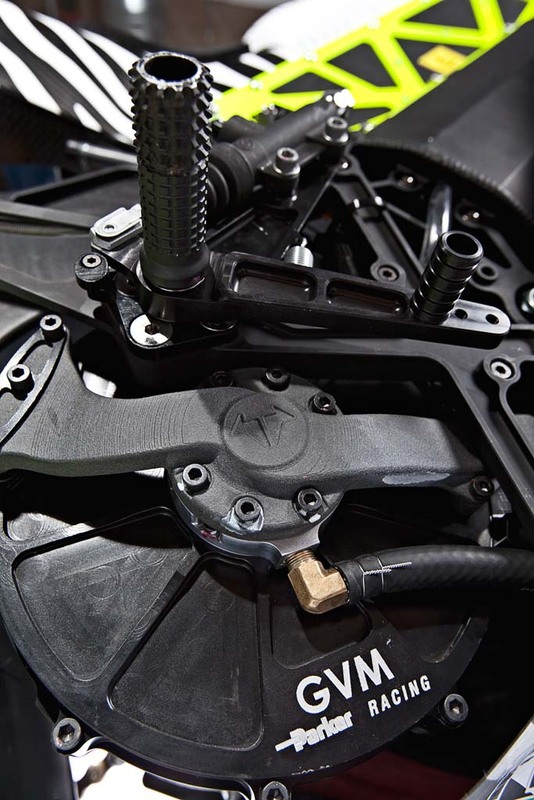 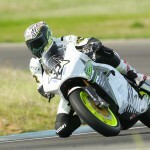 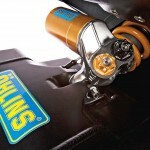 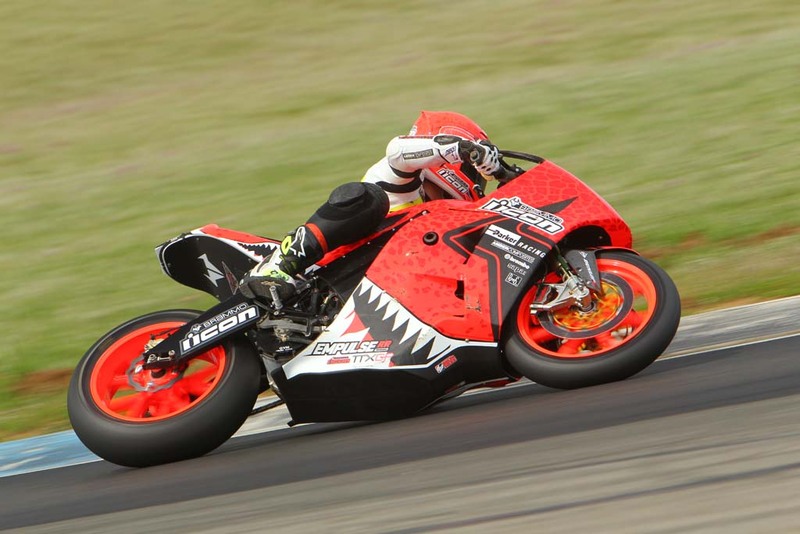 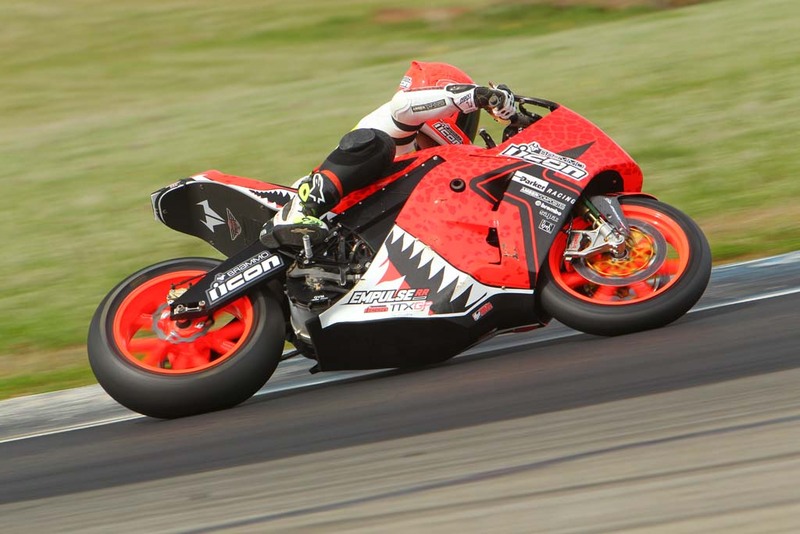 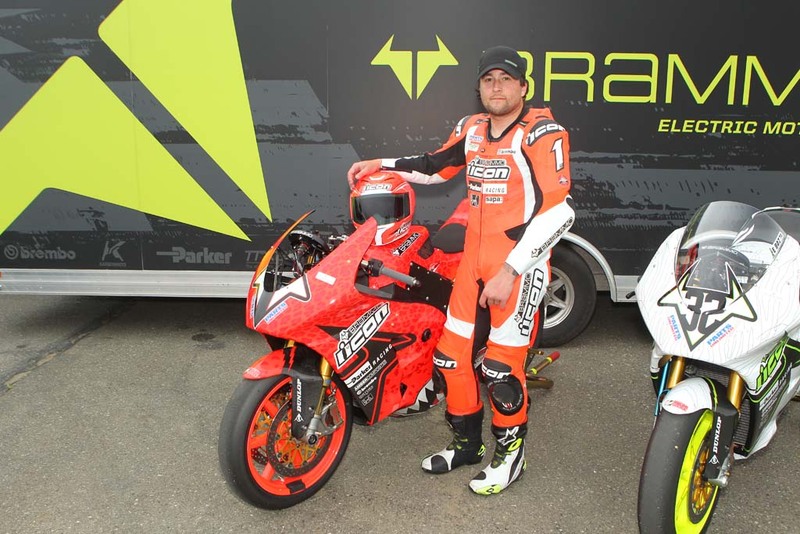 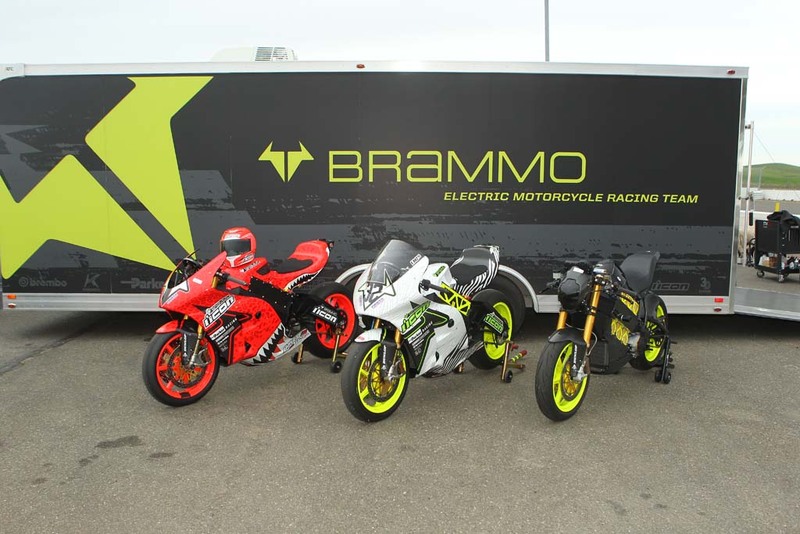 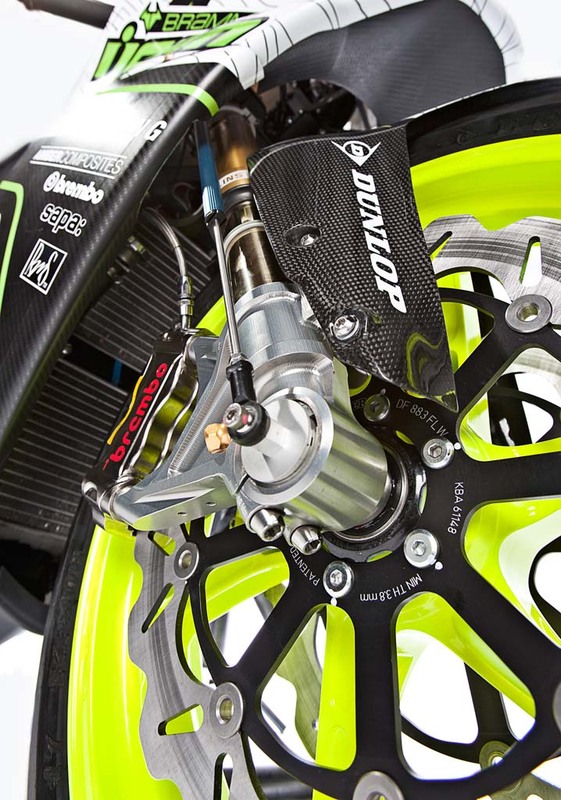 Atlas and Bostrom will compete in the 2013 FIM/TTXGP electric racing championship as well as the American Federation of Motorcyclists (AFM) series, competing against gas-powered competition.